We’ve been covering Orphek products since their original PR-156 came out in July 2010. Since then, we’ve gotten to watch the entire lineup grow by leaps and bounds, with new technologies being implemented at every turn and their target market being broadened to include just about any size reef aquarium. 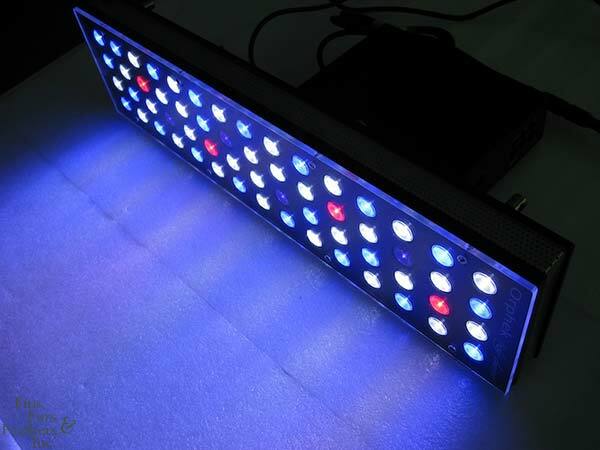 The latest creation by Orphek, the Nilus, is an LED fixture developed specifically for SPS dominated reef aquariums and is a culmination of years worth of product testing. It comes in the same sleek housing as the PR-156, but includes several new features that set it completely apart. 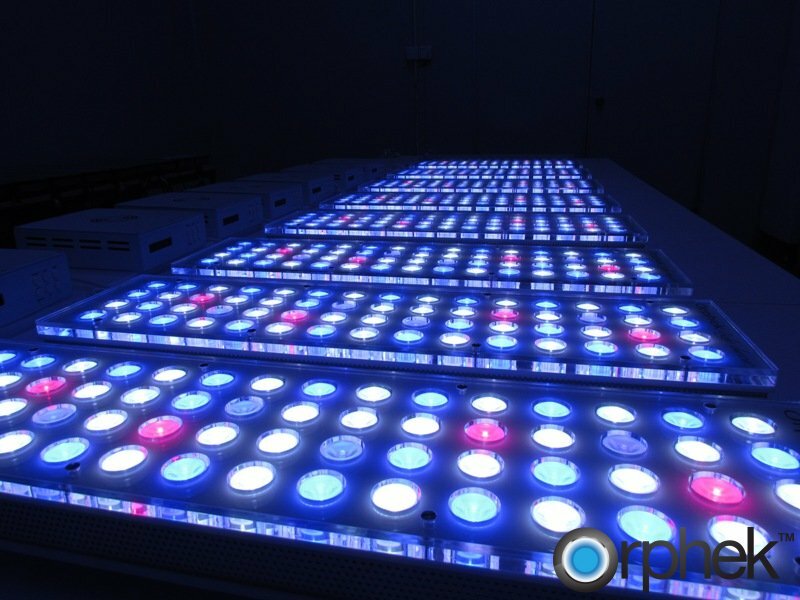 For starters, Orphek has followed the growing trend in LED aquarium lighting to include red emitters. These 640nm diodes, coupled with a new UV LED upgrade, improve the color spectrum of the light and give aquarium keepers a little additional coverage for light hungry corals. On top of the new LEDs, the Nilus gets treated to a new dimmable LED driver, which will give users more options by letting them give their corals exactly how much light they need and will make the transition from older lighting technologies to new ones far easier. 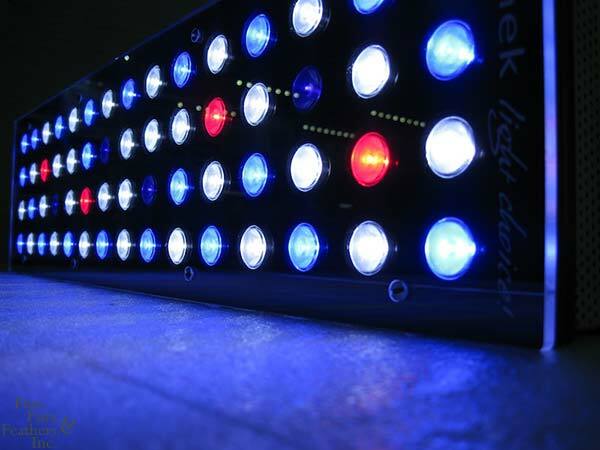 The Nilus uses a total of 120 watts, which is consumed by 30 White LEDs, 22 Blue LEDs, 4 Red LEDs and 4 UV/true violet LEDs. The fixture emits a total of 9000 Lumens, which are directed into the aquarium with the help of 120 degree optics found throughout. Also seeing an upgrade is the fans. Orphek felt the older fans were a bit too loud, though not many were complaining, so they upgraded them to an even quieter model. We’re quite pleased with the direction Orphek is taking their lights, and we can’t wait to see the new Nilus in person. Cant wait to see the PAR readings on this unit. Any plans to get that info? absolutely! assuming we get a review unit, we’ll test for par, among other things.